There were four NBA Playoff games on Saturday with three home wins. The away win was achieved by the Washington Wizards who grabbed an 86-93 win in Toronto. The Bulls found it quite straightforward when they came up against the Bucks, winning by 103-91. The Warriors were in charge against the Pelicans, winning 106-99 and the Rockets grabbed the first win in the series against the Mavericks, winning 118-108. The last time LeBron James faced the Celtics while playing for the Cavs, it all fell apart. This was the final run of games for the player before he moved to Miami in the summer of 2010 and at the end of Game 5 in that series; there were plenty of boos being aimed at the player from the home crowd. There were rumours building that he was on his way out of Cleveland and when the loss of the series occurred in Game 6, James off and running. He is back now though and things have changed but that loss is still one that sticks in the mind of LeBron James. Both of these teams had a poor start to the season although the Cavs did get on track a lot sooner than the Celtics managed. To the credit of the side from Boston, they may have left it late but they never left it too late, finishing strongly to take their place in the NBA Playoffs. Mind you, this should be a straightforward series for the Cavaliers, even though the Boston side can take great confidence from the way that they ended their campaign in the regular season. The two teams split the season although the Celtics did win twice in the last week of the season when they had everything to play for and the Cavaliers were resting players in preparation for the playoffs. The Celtics have a 40-29 record this season, which includes a 19-22 record on the road and they have an excellent 8-2 record in their last 10 games. The Cavs are 52-39 with a 31-10 record at home and their 7-3 run of form in their last 10 games is particularly impressive when you think about how they rested up at the end of the regular season. With respect to average points for, the Cavs lead 103.1 to 101.4 and for average points against, the Cavs lead 98.7 to 101.2. 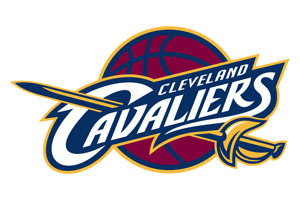 Taking the Cleveland Cavaliers with a handicap of -11.5, at odds of 1.90, should be a decent bet for this game. Bet Now! This should be a straightforward game for the Atlanta Hawks and they should be able to make it through this series without too much difficulty. The teams clashed four times this campaign and the Hawks won them all with an average of over 17 points, while the team from Atlanta also managed to finish 22 games ahead of their Brooklyn opponents. Mind you, the Hawks know what number 8 seeds have done in the past so they shouldn’t be taking things too lightly. This time last season the Atlanta side was taking on the Pacers, winning twice in Indianapolis but then failed to wrap the series up at home and lost out in a 7 game thriller. However, that should let them know that there is no such thing as guaranteed success, and there should be no complacency from the Hawks in this one. They also face a nets side that only clinched their playoff spot on the final night of the regular season, and sometimes that offers a sense of freedom and exhilaration that teams who have been qualified for a while cannot match. The Nets are currently 38-44 for the season and they have a 19-22 record on the road, while they have a 6-4 record in their last 10 games. They face a Hawks team with a 60-22 record this season, which includes a 35-6 record at home. The Hawks are 5-5 in their last 10 games, but again, they weren’t fully focusing on the tail end of the regular season. For average points scored, the Hawks lead 102.5 to 98.0 and for average points against, the Hawks lead 97.1 to 100.9. Taking the Atlanta Hawks with a -11.0 handicap, at odds of 1.90, should be a sensible option for this Sunday. Bet Now! The Grizzlies were looking good for at least a number 2 spot in the Western Conference for most of the season but after the All-Star game, they hit a run of form that saw them slump down to fifth spot. The Playoff games offer a chance of redemption but it can be difficult to turn on form after it has been turned off for so long. Mind you, they face a Trail Blazers side who have lost four games in a row so it is not as if they are facing a team in great confidence or form. They are also facing a team who they have had the upper hand over this season, with the Grizzlies sweeping Portland in the regular season. This is the fifth consecutive year that the Grizzlies have reached the Playoffs, which is a record for the franchise, and this is the first time that they face the Trail Blazers at this stage of the season. The Memphis side had been locked in a regular battle against teams like the Spurs, the Thunder and the Clippers, so they will be glad to take on different opponents. Portland may have finished fourth in the Northwest Division but as Memphis swept Portland and had a stronger record during the campaign; it is them that has home-court advantage for this series. The Trail Blazers are 51-31 this season and this includes a 19-22 record on the road. They have a 4-6 record in their last 10 games as they limped over the line at the end of the regular season. They face the Grizzlies who have a 55-27 record for the campaign, which includes a 31-10 record at home. The Grizzlies also hold a 5-5 record in their last 10 games. With respect to average points for, the Trail Blazers lead 102.8 to 98.3 and for average points against, the Grizzlies lead 95.1 to 98.6. The last time these two sides met was on the 21st of March when Memphis won 97-86 at home. Taking the Grizzlies to win with a -5.5 handicap, at odds of 1.90, is likely to be of benefit. Bet Now! The Clippers will be hoping that this years Playoff experience is a bit more laid back and calm compared to last year’s efforts. This is because they were embroiled in the Donald Sterling storyline last year when their owner was banned for life from the NBA thanks to racist comments he made. With nothing like to distract the players this time around, they could be in a position to turn around and achieve some success, but they have it tough this year. 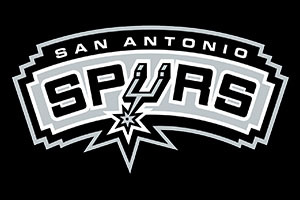 They face the San Antonio Spurs, the reigning NBA Champions and a team with close to 20 years of success and experience at this stage in the NBA. The Spurs may not have been at their best this season but as an entity, they know what the Playoffs are all about. The Spurs went to 7 games last season in their opener against Dallas but after that, they only dropped four games on their way to their 5th NBA Championship. The Spurs are 55-27 for the season and 22-19 on the road, with a stunning 9-1 record in their last 10 games. The Clippers are 56-26 for the season, with a 30-11 record at home, while they too have a 9-1 record at home. For average points scored, the Clippers lead 106.7 to 103.2 and for average points against, the Spurs lead 97.0 to 100.1. This could be a very close game and taking the Spurs with a +1 handicap, at odds of 1.90 could pay off on this Sunday of basketball. Bet Now!